Margaret Truesdale is the Research Director for Perley-Robertson, Hill & McDougall. She has peerless experience working across a wide range of business, litigation, real estate, and personal legal needs specialties. In a profession where the learned application of knowledge and precedent is so critical, the value that Margaret brings to our firm’s clients cannot be underestimated. 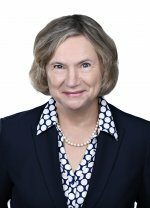 Called to the Ontario Bar in 1982 following studies at Osgoode Hall, Margaret quickly focused her attention on legal research, working as a research lawyer at the Law Society of Upper Canada for over ten years and then operating her own private legal research service. For almost twenty years, Margaret has proven her research abilities in all areas of law, both criminal and civil, as well as her leadership talent. In 1998 Margaret added to her depth in legal analysis by completing her Masters of Law degree at the University of Ottawa. She is adept at using all research methods, with extensive expertise in online information retrieval systems such as WestlaweCARSWELL and LEXIS.NEXIS.